Yesterday, we have seen the debut of Kamen Rider Build RabbitTank Hazard Form. 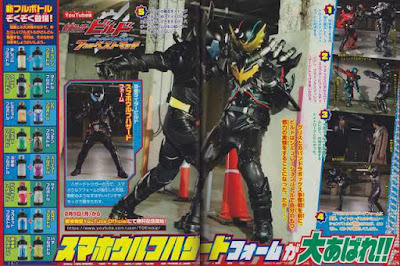 Now let's get to know more about it in this newest Kamen Rider Build magazine scans as translated by Filip! In the upcoming youtube spin-off, Sento will use the SmaphoWolf Hazard Form. 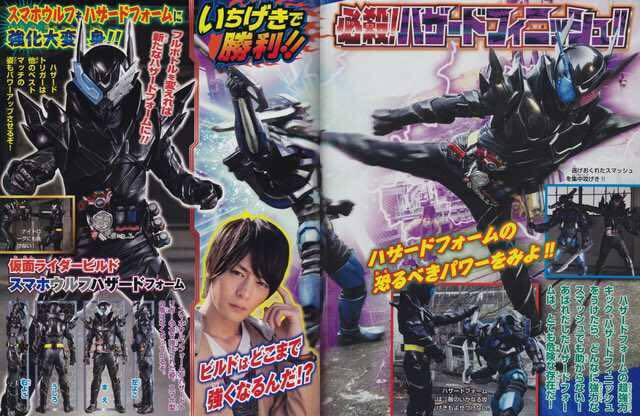 It is said that the Hazard Trigger will increase the fighting power for all of Build's Best Match forms but prolonged use of the trigger could cause Sento to lose his mind. 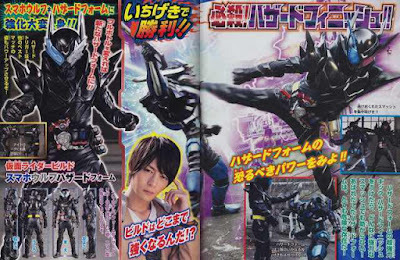 To prepare a counter for this, Nariaki Utsumi, who is in possession of a Steam Gun, will transform into Night Rogue and train Sento in his Hazard form to control the effects of the Hazard Trigger. Sento must overcome this trial so he can top everything that Grease and his Crows will throw at him.